I have always found twins and multiples fascinating. So when the opportunity to read “White Bodies” came up, I was looking forward to reading it. When Tilda invites her new man, Felix to movie night, her twin sister, Callie is unimpressed but curious. She doesn’t often meet Tilda’s friends, especially the men in her sister’s life. When she first meets Felix, he seems polite and interested in Callie. He also appears quite comfortable in her sister’s apartment…like he’s been there many times before. Callie and Tilda Farrow have a very strange relationship. Callie seems to be the more unassuming twin, while her sister is an actress with a flair for the dramatic. We learn quite a bit about their childhood and relationship. Callie has always been a bit in awe of her sister and this manifests itself in some very strange ways….very strange…SOOOO very strange!! But then Callie begins to notice how much power Felix seems to have over her sister. However, Tilda seems to be going along with it, even letting Felix take control over the renovations of her apartment. It’s not long before Callie has some serious worries about her sister’s relationship, especially after seeing some bruises on her arms. Tilda gets angry with Callie when she tries to talk about Felix. Eventually Callie looks to the internet for help. She ends up in a chat/online support group about controlling men. Soon she’s spending a lot of her time on the website, talking to other people with similar issues. Is Tilda in as much danger as Callie thinks she is? Will Callie be able to save her sister? I had a really hard time rating this book. I’m still confused as to how I feel about it. I like when a book messes with my head and this one definitely did that, but there were a few things that were really creepy and confusing. Although I was disturbed at times, this was definitely a compelling novel with an interesting plot that kept me reading. I had a hard time putting this book down and read it in just a few hours. I had to know how it was going to end. 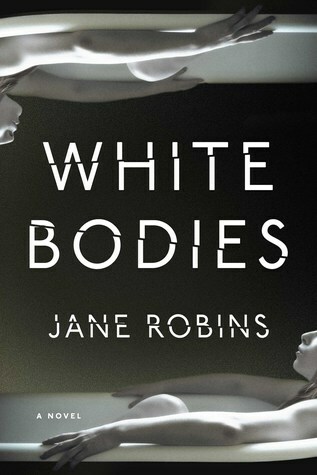 “White Bodies” was a strange and sometimes off-putting read. A story about obsession, love, violence, and manipulation. This book may not be for everyone but it was certainly a gripping read that I won’t soon forget. Thank you, Touchstone Publishing for providing an advanced readers copy of this book for me to read in exchange for my honest review. This novel hasn’t been on my “to be read” list for very long. I came across it just the other day. However, I can’t seem to get it off my mind. It sounds like a very emotional read that deals with a lot of important issues. As I may have mentioned, I love books that have anything to do with social media…and when this book crossed my path, I just knew I had to read it. Will Cann is a recovering heroin addict who now helps others on their path to recovery. He works as a counselor at Juniper Lane, which is a renowned rehab facility. He came in as a patient, and now twenty-three years later, he’s one of the facilities most respected counselors. But Will has a secret… a big secret. After seeing the news that evening, Will knows he needs to get to a meeting. Every now and then he needs to share his secrets. Sharing his past in a room full of strangers helps and Will appreciates the confidentiality and understanding that AA meetings provide. Will has just found out he’s going to have a new patient at Juniper Lane. Thea Brown is not like any patient Will has ever treated but he hopes he can help her and maybe she can help some of the others in the group that are also struggling. Thea has a very complicated relationship with her mother and her father is dead. She doesn’t seem to have any real friends’ just online ones. Thea started a company called “Alibis”. People hired her for a variety of reasons but to put it simply, she’s hired to create fake social media profiles and fake social media lives. But the lines of reality have started to distort and now her own life has become a façade. And after a client goes too far, Thea and Alibis both end up in trouble. Thea is arrested and is given a choice between staying in jail or going to rehab. Thea sees a list of words that apparently describe her. Words like sociopath, delusional, narcissistic etc. But there’s one word on the list that bugs her more than all of the others combined …. ADDICTION. Thea doesn’t think she’s addicted to anything. If she’s addicted than it means she’s “out of control”. If she’s addicted then she’s her father’s daughter. Thea doesn’t want to be anything like her father. However, the “expert” thinks she’s addicted to social media ….and if Thea doesn’t want to go to prison? Then she’ll have to play along. Is Thea really addicted to social media? She doesn’t think she is. Is she in denial? Both Thea and Will have so many secrets. What will happen when everyone’s secrets finally come to light? The book explores the hold that social media can have and the many ways in which it can be used. It also addresses other issues including addiction and rehabilitation. I felt that the author portrayed these issues in an accurate way while still writing a very entertaining story. 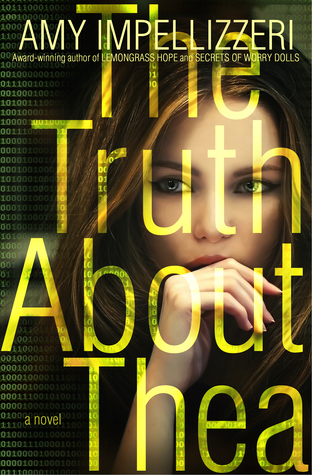 “The Truth About Thea” has an interesting and intriguing story-line that grabbed my attention from the very beginning. With many twists and turns, secrets and lies we don’t know who to trust and nothing is as it seems. There are many complex characters and their individual story-lines are woven together in the best possible way. 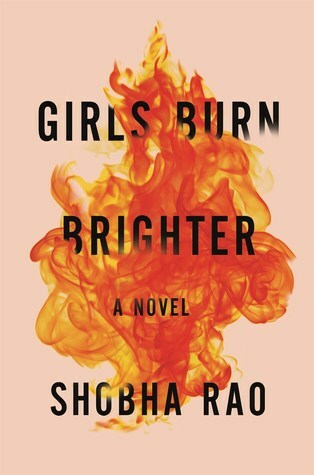 An exciting novel with ­­­­­­­­­­­­­­­­­­­a very unique plot that kept me guessing right up until the very end. I am looking forward to reading more from Amy Impellizzzeri. Thank you to Wyatt-MacKenzie Publishing for providing a copy of this book for me to read in exchange for my honest review. This book first caught my attention as it’s description seemed to have many similarities to the Amanda Knox case. I’ve been interested in the Amanda Knox case since the very beginning, and when I see a book that’s similar to the case, I am quick to pick it up. Jennifer Lewis is shocked when she is awakened in the night by a phone call from her terrified daughter, Emma. Calling from Spain, Emma begs her mother to come quickly as there has been a murder and she is in jail. Jennifer quickly makes arrangements for the care of her other children and rushes to be with her daughter. She hopes she can help straighten out what must be a huge mistake. But as Jennifer fights for her daughter and helps investigate, she starts to wonder how well she knows her daughter. The book held my interest well as I desperately wanted to know what happened the night of the murder. As I am now a mother to a teenage girl this book brings up the question…. How far would I go to save my daughter? As mothers of course we want to fix everything for our children. However, are there times that we are doing more harm than good when we intervene in certain situations? 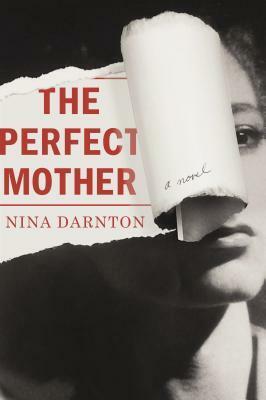 “The Perfect Mother” was a thought-provoking and well written novel that I highly recommend.